During the opening credits, the film began in the chaotic atmosphere of a Philadelphia TV studio, WGON-TV, where confusion and pandemonium abounded due to conflicting reports of attacks of reanimated zombies. A knowledgeable doctor was interviewed as he warned about the hopeless situation, blaming the dire circumstances upon emotional reactions of the citizenry. He explained: "Every dead body that is not exterminated becomes one of them. It gets up and kills. The people it kills get up and kill...They kill for one reason. They kill for food. They eat their victims." Many of the rescue stations had already closed down, and martial law was in effect in Philadelphia and in all other major cities throughout the country. Citizens were ordered to no longer occupy private residences, no matter how safely they were protected or well-stocked. He further advised about zombie infection: "A dead body must be exterminated either by destroying the brain or severing the brain from the rest of the body." TV anchorwoman Francine Parker (Gaylen Ross) became frustrated that the station was broadcasting out-of-date information about the rescue stations. was told by her boyfriend - helicopter pilot/traffic reporter Stephen Andrews (David Emge), that they were going to evacuate the station at 9 pm from the rooftop, in the station-owned helicopter, in order to survive the tense situation. In a ghetto area of the city, a SWAT team surrounded a low-income project's tenement building filled with armed residents who protested and refused to evacuate and abide by the imposition of martial law. Tear gas and gunfire were used to violently force the resistant residents to leave their apartments (and go to emergency shelters) and give up their dead loved ones. In some of the rooms, gray-faced, ghoulish dead individuals were reanimated as attacking 'undead' zombies upon their own relatives, and had to be shot in the head to be exterminated forever. 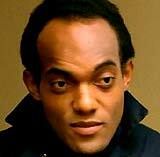 During the attack, SWAT cops Roger DeMarco (Scott Reiniger) and tall black man Peter Washington (Ken Foree) met in the cellar as parts of different units. They discussed deserting their forces, knowing it would only get worse, after being sickened by the bloodthirsty, rogue behavior of some of their fellow team members: "I could run right tonight...I think it's right to run," declared Roger who described how his friend [Stephen, apparently] had a helicopter and had asked him to join him. The two were told by an old, black-robed, one-legged Puerto Rican priest (Jese Del Gre) that a room in the cellar was the depository of dead residents who had been given their last rites. He allowed the men to kill the zombies, but then warned about their growing strength ("Now, you do what you will. You are stronger than us. But soon, I think they be stronger than you. When the dead walk, señores, we must stop the killing... or lose the war"). In the cellar area, Peter and Roger reluctantly killed the feasting group of zombies harbored there. Afterwards, Roger asked: "Why did these people keep them here?" Peter replied: "Because they still believed there's respect in dying." That same night, Stephen and Fran met up and flew the TV station's stolen traffic helicopter to a police station where they reported to HQ that the guard post was abandoned. Roger and Peter joined them at the station's helipad in the middle of the night, barely escaping from more rogue policemen. When they departed, Stephen mentioned they were going "straight up" -- as they ascended, lights began to go out in a nearby skyscraper on the Philadelphia skyline. By dawn's light, they were still flying, and had passed Harrisburg, PA about an hour earlier. During the flight westward, Roger noted as he looked down on the countryside: "Jesus, it's everywhere" - watching the US Army and local police recruit groups of redneck vigilante civilians in rural areas to competitively hunt for zombies in search-and-destroy missions, while offering them hot coffee, beer and food. They landed for fuel at a private airstrip, where Stephen was attacked by a sledge hammer-wielding zombie outside a dilapidated hangar, and escaped being bitten when he crushed the ghoul's skull. Another zombie (Jim Krut) approached Roger as he filled the tank - but died when the spinning helicopter blade struck the top of his head. In the hurriedly-abandoned airport chart office, Peter was also assaulted by two zombie children (Donna and Mike Savini) who emerged from a closet, but tossed them off and shot them. Although he attempted to prove his courageous manliness, Stephen kept ineffectively aiming his gun at the zombies' bodies (and almost hit Peter when attempting to kill a bald ghoul near him). However, Roger proved he was an expert marksmen with carefully-aimed shots at zombies' heads. Peter angrily aimed the barrel of his gun point-blank at Stephen and threatened him for almost killing him: "You never aim a gun at anyone, mister. It's scary, isn't it?" He then lowered his weapon. They continued their flight westward toward Cleveland, as it became dark and they were once again low on fuel. Peter admitted that they were now on their own, because they had stolen the helicopter, like common looters: "We're thieves and we're bad guys...We gotta find our own way." They were lacking in food, water, and a radio, and were unsure of their destination. Near Pittsburgh, when they flew over a deserted shopping center concrete building with a big indoor, two-story mall, they decided to land on its roof and find refuge from the marauding, flesh-eating zombies. Some of the stiff, lumbering undead were staggering around in the parking lot, but only a few were inside the mall (and only on the first floor) - it appeared none were in the locked stores with their gates down, and the power hadn't been turned off in the area. Stephen explained to Francine why the zombies came there: "Some kind of instinct. Memory, of what they used to do. This was an important place in their lives." Roger located an upper level storage area unconnected to the mall, that was accessible through a broken skylight from above. They discovered that it was fully stocked with stacks of cardboard cartons of Civil Defense Survival Supplies, rations, and sanitation kits. Since it had only one entryway, they decided to remain there: "Looks like a free lunch," Roger noted. They found some much-needed rest and food in the storeroom, although Peter was anxious to investigate the mall itself: "There's an awful lot of stuff down there that we could use. It's a big place." He proposed to Roger that they "outrun" the zombies in the mall, using "hit-and-run" tactics, as Roger concurred that they needed supplies: "This place could be a goldmine. We gotta at least check it out," but Francine thought their plan was crazy. They found the mall's maintenance control room, with electrical panels and master controls. They took a ring of master keys ("the keys to the kingdom"), walkie-talkies, and blueprints. They powered up all the major areas of the mall, including the music system, the escalators (allowing the zombies to mindlessly ascend to the second floor balcony of stores), fountains, and exhibits. In a second-floor hallway nearby beyond a locked door, Roger and Peter decided to fight off a number of slow-moving zombies before entering a large two-story Penney's department store and locking themselves inside. When Stephen heard gunfire, he took the weapon Francine was given to protect herself (the last one) and a handgun, and searched for the others, telling her: "We can't leave those guys down there." Not worrying about getting back, Peter was gleeful as they ran through the store: "Let's go shopping first!" Into a small gardening push-cart, they heaped a TV, clothes, a radio, and lots of other items - and then created a diversion on the first floor to attract all the zombies there. Stephen located the maintenance control room like the others and a maintenance manual with various charts and mall plans, but failed to notice that an ex-maintenance man zombie (Warner Shook) was ominously approaching closeby. When he did see the zombie, he wastefully emptied his handgun - shooting aimlessly at the creature until finally targeting him in the head. Roger and Peter escaped from the second floor balcony level of the department store with their cart, saw the predicament Stephen was in, and helped him to evade more zombies, as they all retreated back into the department store. In a scary moment, Roger was jumped by a zombie who had snuck into the store, but was able to use a screwdriver to impale the ghoul (John Harrison) in the head. They raced to the first floor entrance of the store, and again attempted to divert all the zombies to the bottom level of the mall who were clamoring to get in. Stephen proposed that they return to the second floor hallway (to retrieve their cart), not via the mall this time, but unnoticed through a ventilation duct located inside the elevator shaft that provided a passageway above the stores. (Francine was nervously awaiting their return without protection, as a Hare Krishna zombie (Mike Christopher) approached closer and entered the hideout area.) In the Hardware section of the store, Roger conveniently found tools they needed to pry open the large grillwork panels: "One stop shopping. Everything you need right at your fingertips." After traversing through the ductwork, they quietly maneuvered the cart of supplies into the second-floor hallway and through a locked door to return to their storage room hideout. The men arrived just in time to rescue Francine after she had struggled against the zombie with two emergency flares. Stephen assured the skeptical Francine: "You should see all the great stuff we got, Frannie. All kinds of stuff. This place is terrific. It really is. It's perfect. All kinds of things. We've really got it made here, Frannie." They were now supplied with food, clothing, a radio, TV, and other items, but imprisoned there. When Peter commented that Francine looked physically sick, Stephen announced that she was 3 1/2 to 4 months pregnant, and there was discussion about whether to abort or not. A radio report by Dr. Millard Rausch (Richard France) was heard, discussing the nature of the zombies: "They are not cannibals. Cannibalism in the true sense of the word implies an intra-species activity. These creatures can not be considered human. They prey on humans. They do not prey on each other, that's the difference. They attack and they feed only on warm flesh. Intelligence? Seemingly little or no reasoning power, but basic skills remain the more-remembered behaviors from normal life. There are reports of these creatures using tools. But even these actions are the most primitive - the use of external articles as bludgeons and so forth. I might point out to you that even animals will adopt the basic use of tools in this manner. These creatures are nothing but pure, motorized instinct. We must not be lulled by the concept that these are our family members or our friends. They are not. They will not respond to such emotions. They must be destroyed on sight." The men planned to fortify the mall and prevent the undead from entering by blocking the large glass entrance doors with a number of semi-truck trailers. Fran expressed that she wanted to be part of the decision-making by the men, and that she wanted to learn how to fly the helicopter if necessary, to serve as a back-up pilot. Stephen flew Roger and Peter to the nearby truck loading area where the semi-truck trailers were located in order to ferry them back in stages. Each of them drove one large semi back to the mall. Then, they both returned to the truck loading area and brought a third truck, while escorted by Stephen hovering above. Because of his crazed desire to shoot at the zombies and run them over, Roger became emotionally reckless and careless, and Peter became concerned about his well-being and risky behavior. When he was retrieving his forgotten knapsack from the cab of one truck, Roger was surrounded by zombies and bitten in the left forearm and left calf. Peter told him: "That's it. You gotta deal with that leg," as Roger responded: "There's a lot to get done before you can afford to lose me," but Peter wasn't sure he would make it. To be fully armed, Peter and Stephen stole dozens of guns, holsters, and ammunition belts and boxes from the Gunnery store inside the mall. Their plan was to completely secure the mall, by first locking the four main entrance doors into the mall from the inside. They hot-wired one of the mall's late-model exhibit vehicles to drive through the mall, scaring off the zombies with ignited propane tanks. Then, they proceeded to kill every remaining undead zombie within the mall ("We'll get it all locked off. Then we're going on a hunt"). Roger became weakened and more debilitated as the infectious bites worsened (although prolonged with regular injections of morphine), and Peter predicted he might have only three days to live. However, it appeared that their plan had succeeded, and they settled into their living area in the mall - the hidden storage room, protected from looters and any further zombie attacks, although they needed to collect the rotting zombie bodies and place them in one of the freezers. Francine's pregnancy was causing her abdominal sickness. In the mall's main offices, they found stacks of cash that were free for the taking, and all of them went on various endless shopping sprees, indulging their consumeristic, materialistic and culinary desires with food, haircuts, and arcade video games. But the group realized they were still surrounded by zombies: "They're still here...They're after us. They know we're still in here." Peter added: "They're after the place. They don't know why. They just remember, remember that they want to be in here...They're us, that's all. There's no more room in hell" - referring to something his grandfather, a voodoo priest in Trinidad, had said ("When there's no more room in hell, the dead will walk the earth"). Roger requested that Peter take care of him when he died: "I don't want to be walking around like that. Peter...don't do it till you're sure I'm coming back. I'm gonna try not to. I wanna try not to come back." On a TV broadcast, scientist Dr. Millard Rausch proposed a radical solution -- dropping nuclear bombs on all the big cities, while remaining unemotional, rational, logical and undivided: "They won't run out of food while we're still alive....This is not political rhetoric. We're not fighting...This is not the Republicans versus the Democrats who've got us in a hole economically or we're in another war. It's more crucial than that. We are down to the line, folks. We are down to the line...We've got to remain logical. We've got to, there's no choice. It has to be. It's that or the end." Meanwhile in his bed, Roger awoke as a full-fledged, reanimated zombie, and Peter shot him in the head, as Fran uttered: "It's really all over, isn't it?" Roger's body was buried in a garden within the mall. Stephen and Francine passed the hours with target practice against mannequins on the indoor rink. During a fancy dinner together served by Peter, Stephen proposed to Francine and offered her a ring, but she declined his gesture of commitment: "We can't, Stephen. Not now. It wouldn't be real." Months later, marked by X's on a calendar, Francine was visibly pregnant as she wandered through their living quarters, decorated like a suburban home. To pass the time as they eked out a living during an isolated existence, Peter played tennis with himself, pounding new flourescent tennis balls against a rooftop wall. Hundreds of zombies still mingled outside, walking and stumbling about in a stupor and clawing at the building. Peter and Stephen played cards in their living room, betting with real $50 and $100 dollar bills. TV broadcasts were non-existent for three days and Francine shut off the TV, although Stephen was hopeful about contact with the outside world: "They might come back on," and after bickering with her, turned it back on. Francine asked: "What have we done to ourselves?" Stephen loaded the helicopter with boxes of ammunition, and he taught her to fly and successfully land the helicopter on the roof. However, they were viewed through binoculars by a few bikers during the lesson - they plotted to invade the mall that night, and warning of their approach via a short-wave radio transmission. The nomadic bikers announced that they had seen the whirlybird on the roof and were invading: "Could you use some company up there?... We don't like people who don't share. You just f--ked up real bad." A few dozen bikers in the motorcycle gang attacked the mall, and Peter feared that the bikers' "professional army' could easily disrupt their lives, but challenged: "Let's not make it easy for 'em." He hoped that the bikers would break in, take what they wanted, and then leave without disturbing them. The bikers fired their guns at the zombies congregated around the trucks at the entrances, and then broke into the mall entrance through the large loading bay doors, unwittingly letting in dozens of zombies as they roared on their bikes into the empty corridors of the mall concourse. After shooting through gate locks, they looted stores of jewelry and clothes as the fended off hordes of zombies. They also engaged in pie fights with the zombies, and chopped off their heads for sport. Angered by their plundering, Stephen muttered: "It's ours, we took it" - and initiated a gunfight with the looters. Peter urged him to stay out of sight ("They're after the place. They don't care about us"), but it was too late, and they both found themselves under fire ("Now we've got a war"). Peter escaped back into the ventilation shaft when the power went out, and although he was detected by a few of the bikers, he continued shooting at them and effectively picking them off one by one. The bikers soon became outnumbered by the hungry creatures - fighting over the eviscerated flesh of the wounded and dying, and decided to leave the mall. But before they left, as Stephen fled into an elevator, they shot him in the arm. When he attempted to climb up above the elevator and enter into the elevator shaft, the elevator door opened and several zombies lumbered into the car, clawing at his legs and pulling him out of the hatch. He was bitten in the leg and began to bleed profusely, as more of them attacked, and he was again bitten in the neck. He valiantly defended himself, but soon bled to death in the elevator. He was revealed to be a reanimated zombie when the doors reopened, to join the army of undead who now had infiltrated into every store. After waiting for hours for Stephen to return to the living quarters, Fran and Peter became impatient, and were forced to evacuate when Stephen stumbled back to their living quarters through the fake wall they had built to hide the entrance - leading a group of other zombies to their hideaway ("It's Stephen, they're coming up"). Peter told Francine he would remain behind ("Get out of here...I don't want to go, I really don't"), and then blasted Stephen in the head when he entered. Stunned, she fled to the roof through the skylight to start up the chopper as Peter remained behind to face the intruders. He locked himself in one of the bedrooms, contemplating suicide, but then at the last minute, decided to defend himself and join Francine in the helicopter as it was pulling away from the launching pad. Peter and Fran were the only two survivors who flew away at dawn in an under-fueled helicopter as the film ended. 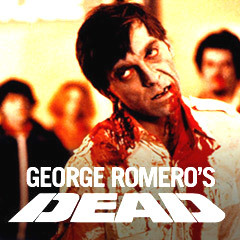 The most profitable of all the Romero zombie films, and the one received most favorably by critics. Shot over a period of four months. A gore-filled epic-length sequel written and directed by George Romero, but without any of the characters from the original film. The plot was accompanied by a perverse anti-consumerist critique of the mall culture and its mentality. The tale told of four survivors (an undetermined amount of time had passed since the original film) seeking refuge in a deserted suburban shopping mall from ravenous, flesh-eating zombies, and also from a post-apocalyptic nomadic gang of bikers. The satirical film was a strong indictment of rampant 1970s capitalistic consumerism, as it showed the group looting the shopping areas of luxuries and living the American dream in a barricaded storage area with an excess of material goods, distracted while decaying, undead danger lurked close by. The biting social satire equated zombies with brainwashed, feet-shuffling, automaton mall consumers as soothing Muzak played. It was explained why the zombies congregated there: "Some kind of instinct. Memory, of what they used to do. This was an important place in their lives." As Romero said in an interview, "I've always felt that the real horror is next door to us, that the scariest monsters are our neighbors." It was remade as Dawn of the Dead (2004) by Zack Snyder (his feature film debut). With a production budget of $1.5 million, but grossed $5.1 million (domestic) and $55 million (worldwide). With the tagline: "When there's no more room in hell, the dead will walk the Earth."